Last week I was invited to attend an after school even with Instagram. Whatever plans I had quickly took a back seat when I received the invite….because INSTAGRAM! NYC public schools started back the day before the event, so the topic of conversation seemed more relevant than ever! I, like so many parents have questions, concerns, thoughts and fears when it comes to monitoring social media for our kids. I was beyond excited to hear Instagram’s take on their own social platform. Although my oldest is not quite a teen, he did just turn 10 and has been exposed to his fair share of the dreaded word “screen time”. My husband and I are both in the social media world, so the thought or likelihood that our kids would also be interested is not surprising. We hear heart wrenching news all the time about the devastating effects social media can have when used incorrectly. Do you know what your kids are doing online? Who are they talking to? Do you set limits? These are all questions that go on all the time in our house and although we are in pretty tight NYC apartment quarters I still check in constantly to make sure content is clean, friendly and above all safe. I also know my very own tween is light years more savvy already than his parents. Instagram is a place where kids and adults share special moments, favorite photographs, and spread powerful messages if they choose. Instagram prides itself on being a safe, supportive space for people to share their passions and interests. I had the privilege of hearing teen journalist, Malick Mercier (@classymalick) speak at the event and he thinks about Instagram as “being my voice”. Malick, indeed, does have a voice both online and offline with his positive energy and #kindcomments. 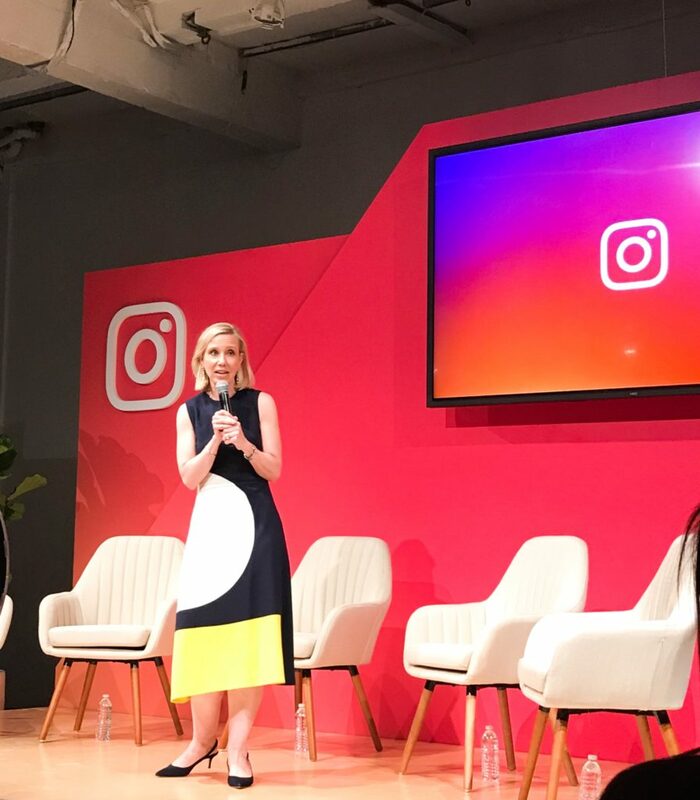 The COO of Instagram, Marne Levine, is a mom herself and mentioned when she walks into work each day she is looking at everything through the lens of being a parent. She’s clearly passionate about everyone having a positive experience on Instagram. The Parent’s guide that has recently been created is incredibly helpful and I’m going to share my favorite sections. 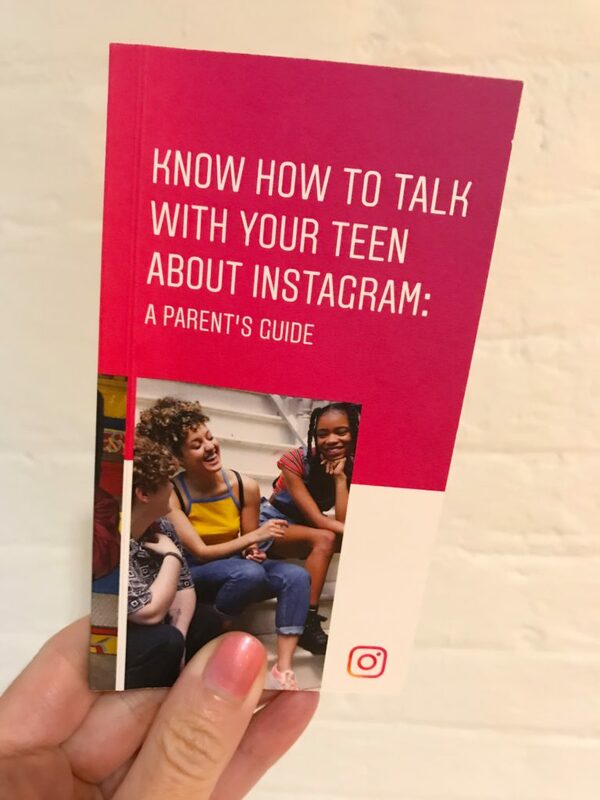 Visit parents.instagram.com to view all the tools and resources you may need to help navigate these tricky waters of social media. 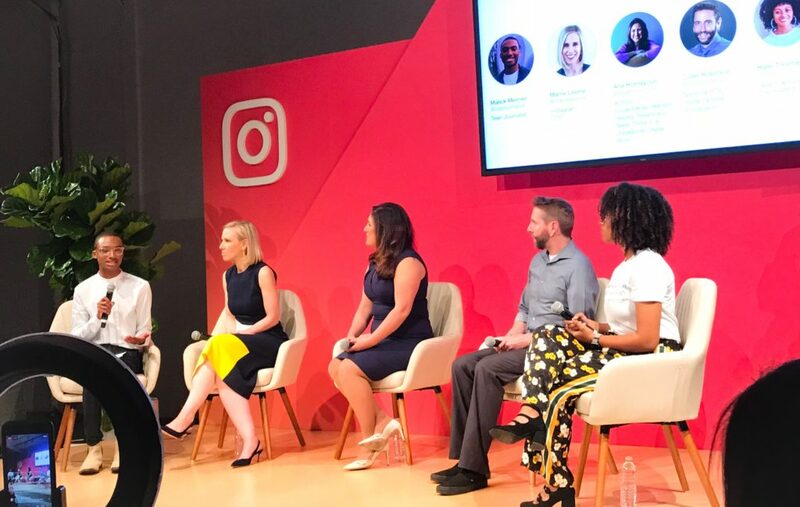 I learned at the event there are so many parents who have zero clue what Instagram is or how to use it. I’ve heard stories about some parents asking other parents who are on Instagram to “monitor” their kids. It never hurts to support fellow parents, but luckily Instagram has also taken steps to safe guard our kids without them even knowing it. We’ve all heard words like “digital footprint” and have warned our children that anything on social media can last forever. I feel so much better knowing that Instagram has set up privacy tools we can all use and don’t worry.. they are really easy! Setting up a private account is by far the safest. You have to approve your followers and therefore should know everyone you are interacting with. Managing your privacy is just a few clicks away. With features like “block, report, and hide”, you can easily stop unwanted behavior. The blocked account will not get a notification and Instagram would never share this information. Don’t be afraid to use your tools. Instagram should not be a space for bullying behavior. Under the comments controls you can manage interactions and control who comments on your posts. They also have the ability to block comments. You can customize your filters under the Manual Filter tab by typing in key words, phrases or emojis you never want to see come across your posts. I love this! I myself am guilty of spending way too much time on Instagram. To help monitor this and find the right balance take a look at the Activity Dashboard and set a daily reminder under the Your Activity section and set a limit for how much time each day they would like to spend. Keep in mind it can be changed at any time. As Activist Eleanor Wheeler @Elliewheels said “Social Media can be incredibly helpful and impactful. It can give you a community where you don’t otherwise have that community”. I agree with Ellie completely and as discussed at the event, Instagram allows us to peer into other realities. It’s eye opening and although we can all can be very different, it’s easy to see a shared humanity which is so powerful! 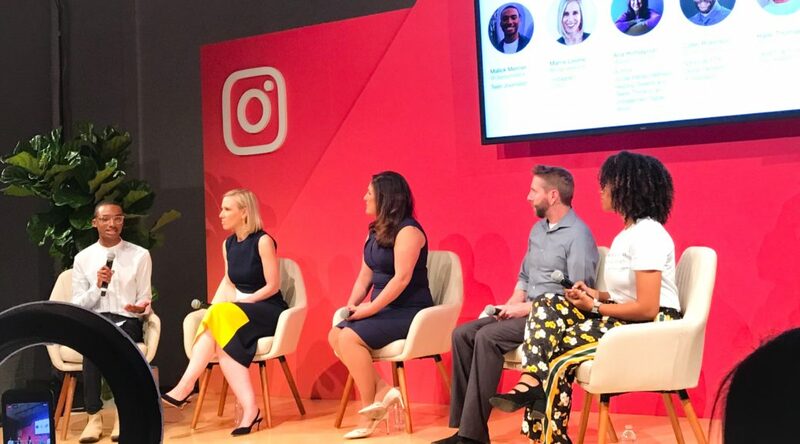 Thank you Instagram for a fabulous afternoon of conversation and helping pave the paths for how to talk with your teen about Instagram. We heart you!